Nights to remember, inside Ischia's Aragon Castle! 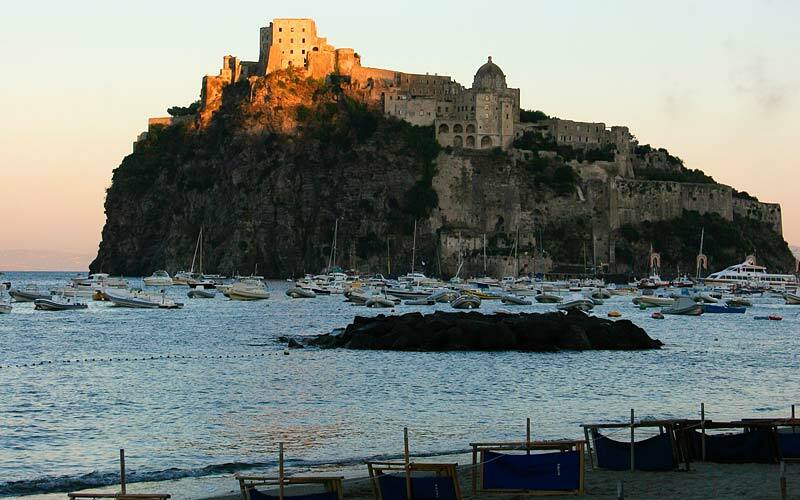 Marvelously majestic, impressively imposing, Ischia's Castello Aragonese is as much part of the history of the island as it's thermal waters and the surrounding sea. It is within the walls of the magnificent 15th century stronghold, in what was once a monastery, that Albergo Il Monastero is located. 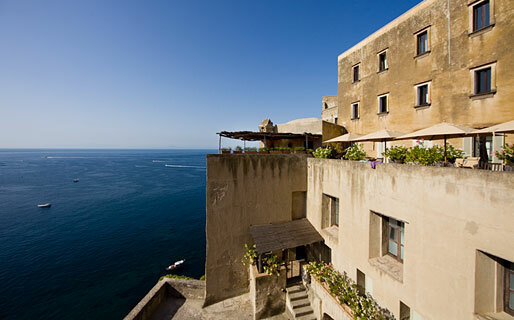 Like the former monastery, today's Hotel Il Monastero is a fascinating labyrinth of corridors, passageways and stairs, all of which sooner or later lead to the hotel's pretty internal courtyards, splendid public rooms and sweeping sea view terraces. 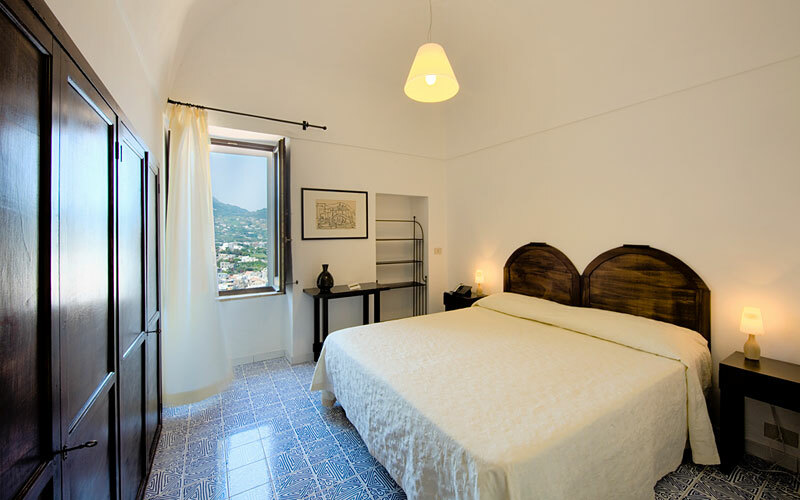 Each room has a window from where a spectacular view of the sea or the village of Ischia Ponte can be seen. Guests staying in the hotel's two superior rooms enjoy the additional pleasure of a small panoramic terrace. 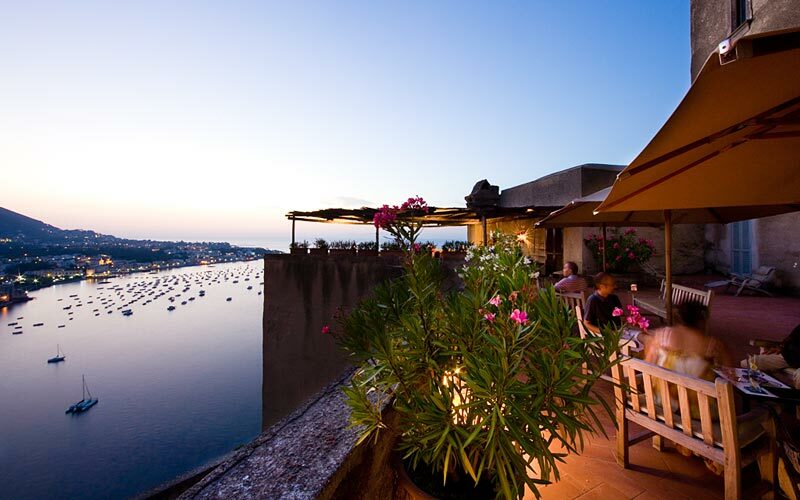 Carved out of the massif castle walls, Albergo Il Monastero's panoramic terrace serves both as outdoor breakfast room, where a delicious breakfast including Il Monastero's legendary cakes is served, and as an enchanting venue for a sunset aperitif. In the evening, guests dining at the hotel's "Monastery Kitchen" restaurant are taken on an unforgettable culinary journey, experiencing the authentic flavors of the Mediterranean, in the form of age-old island specialties and typical Southern Italian dishes. 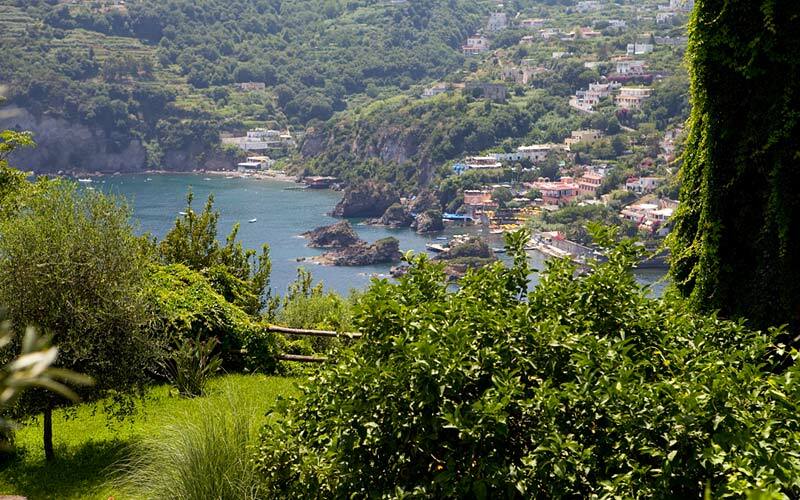 Meals are accompanied by an excellent selection of wines, produced on the island of Ischia and beyond. In the last 30 days 55 people have visited this page. 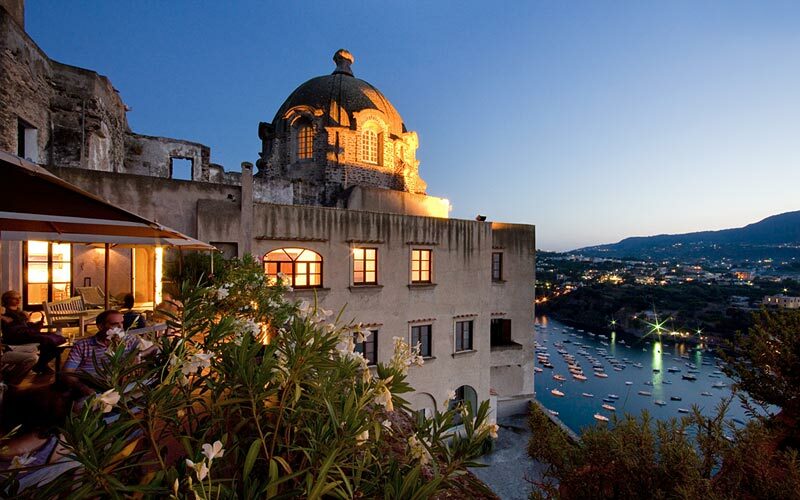 Ischia, Castello Aragonese. 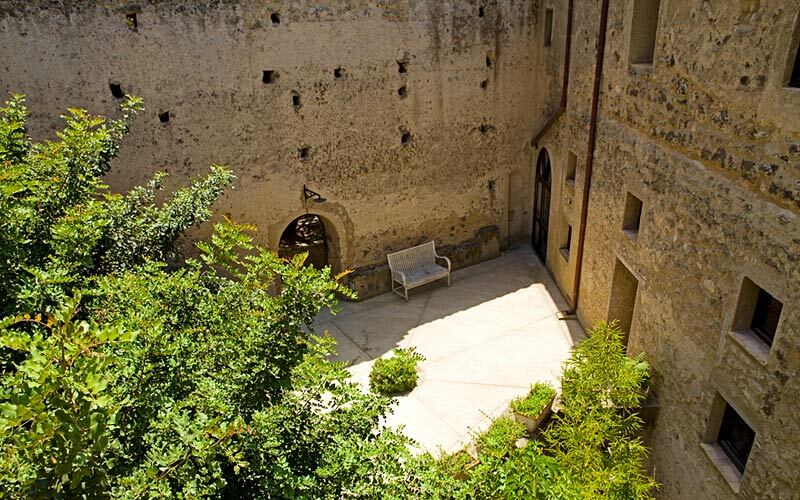 Here, within the walls of the island's imposing Aragon castle, lies the former Monastery of S. Maria della Consolazione, which today houses Albergo Il Monastero. 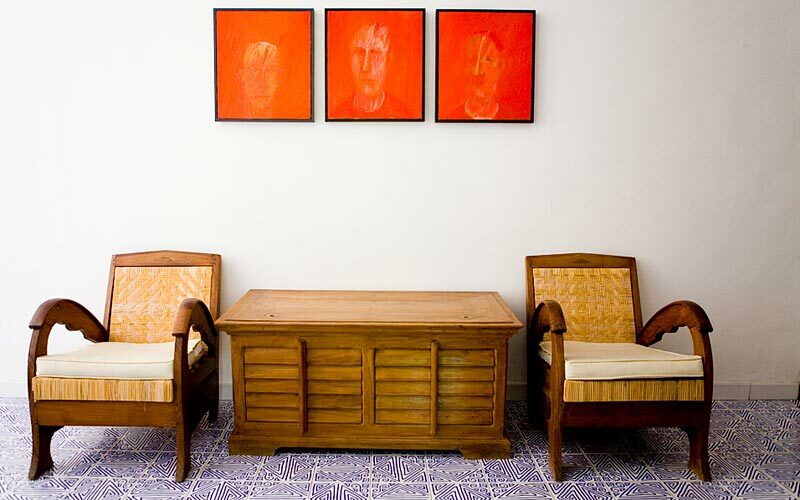 A hotel in which to experience not only Ischia's thermal water and the sea, but the history of the island too. 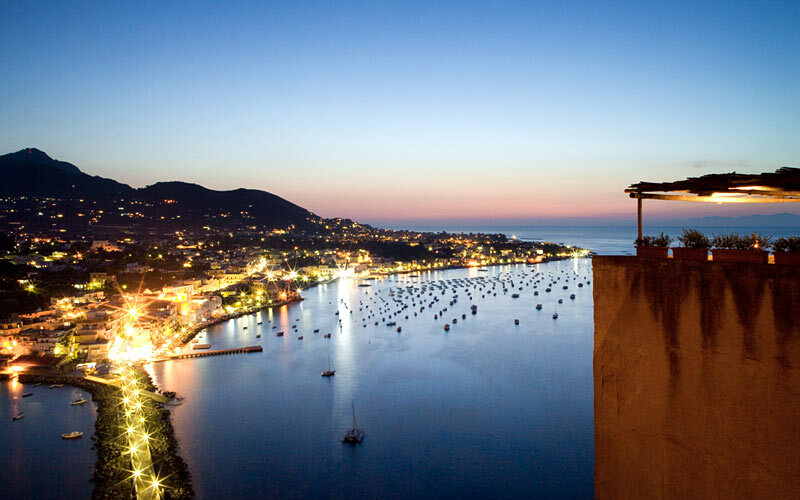 From the terraces, the view extends from the village of Ischia Ponte to the foot of the castle, and the port of Ischia, from where to board boats to the nearby island of Procida, Naples, Pozzuoli and, during the summer, Sorrento, Capri and the towns of the Amalfi Coast. "The staff were all without exception most helpful polite and cheerful. Nothing was too much trouble. "